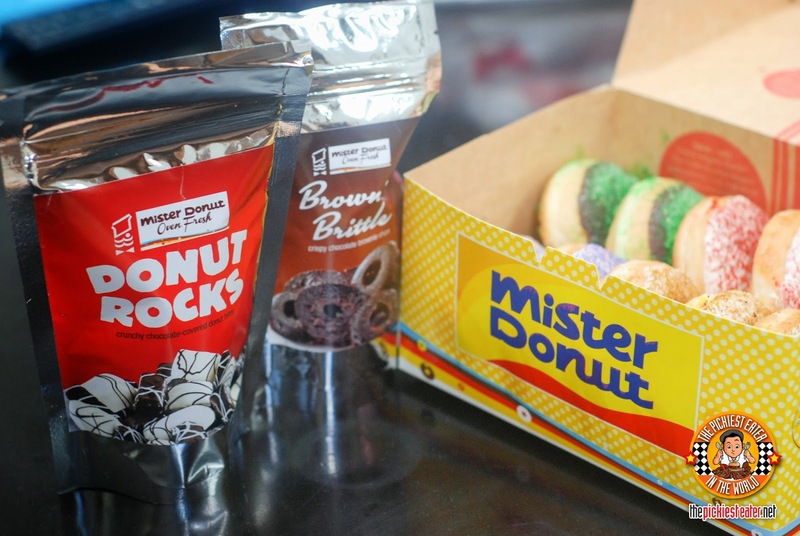 THE PICKIEST EATER IN THE WORLD: MISTER DONUT WOW BAVARIAN AND NEW SNACK PACKS! Mister Donut seems like it's being operated by a kid at heart. Because they always seem to have so many variants of sweet snacks in different shapes and form that's not only yummy but affordable too! 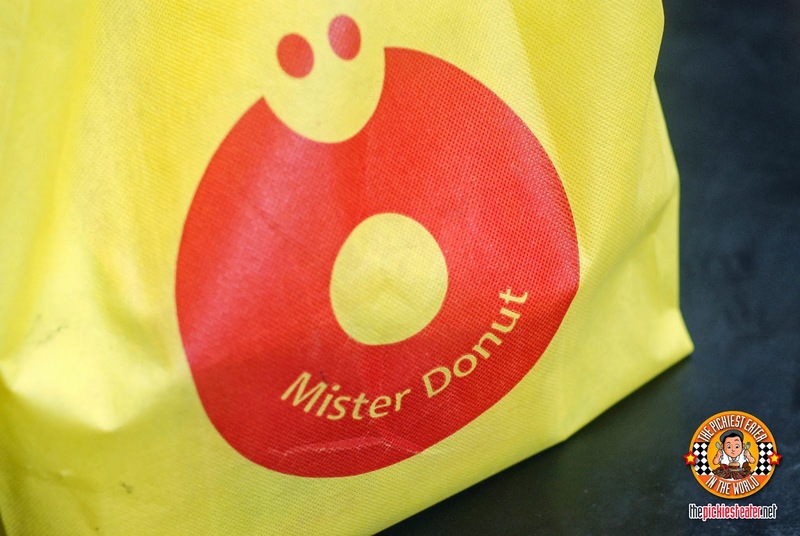 Starting with the Mister Donut Over Fresh: Snack Packs. Bite sized crunchie goodies sealed fresh in an aluminum pack. 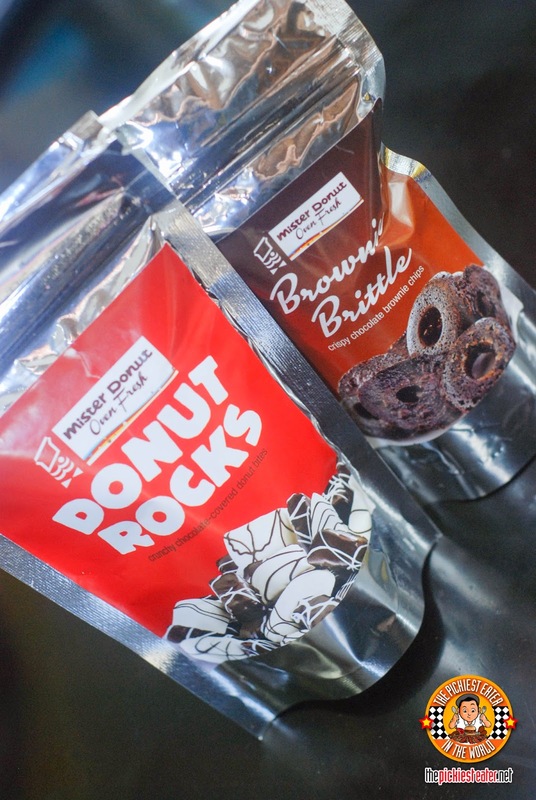 It comes in two types: The Brownie Brittle (P30) and the Donut Rocks (P35). 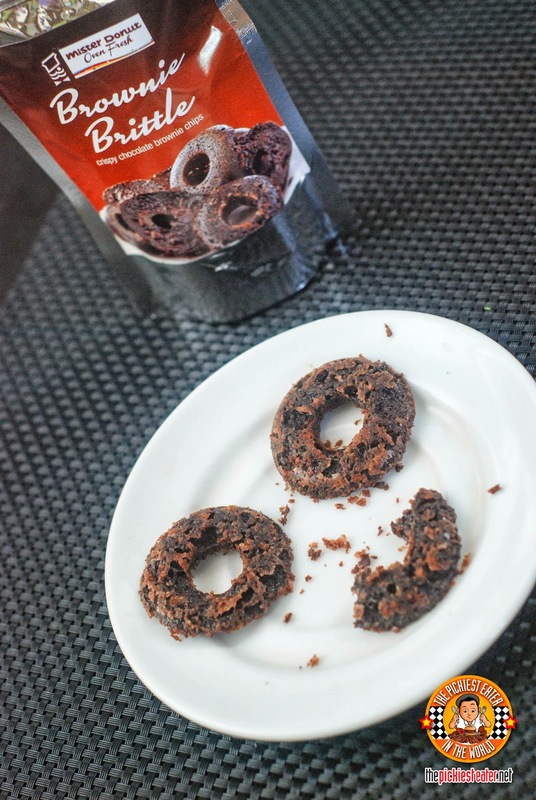 The Brownie Brittle kind of looks like small crunchy chocolate donuts. 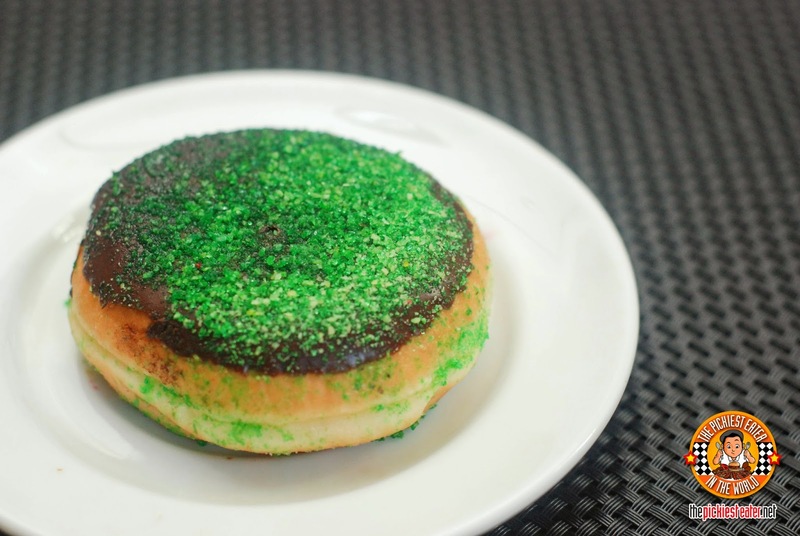 The Donut Rocks on the other hand are dressed up to look like rocks (duh hahaha!). Coated in either milk chocolate or white chocolate then drizzled with again either milk chocolate or white chocolate. Don't underestimate this. There's something addicting about it. Good to snack on while you're commuting home too. 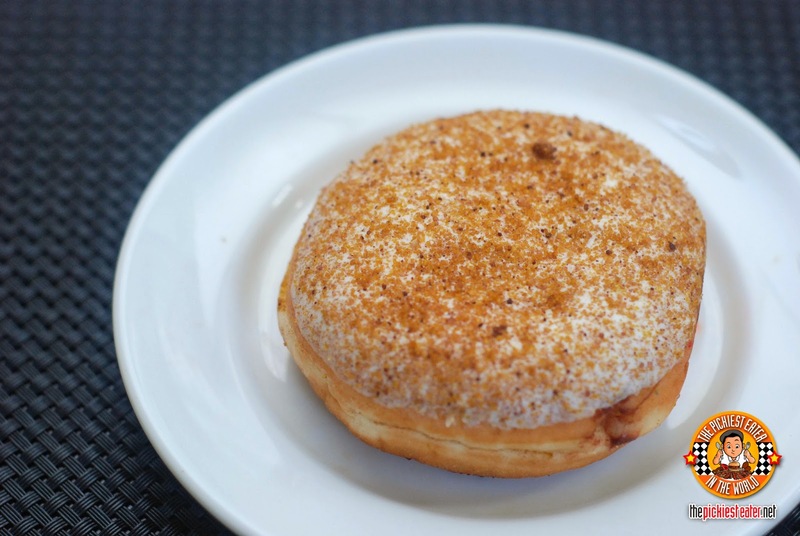 Mister Donut also has brought their bavarian donuts into the next level. 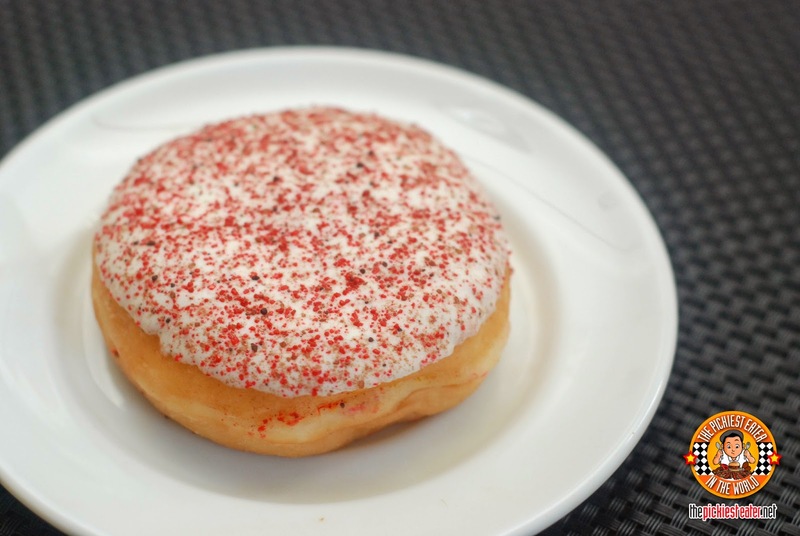 Their Wow Bavarians are donuts with either milk chocolate or white chocolate toppings, dusted with colorful sprinkles. 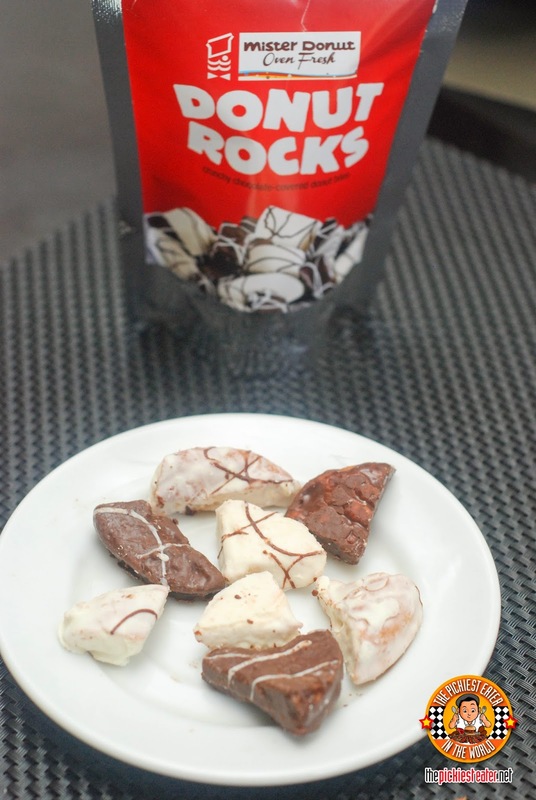 Only P150 for a box of 10! That's a steal! The come in classic bavarian, choco fudge, strawberry, and choco bavarian. 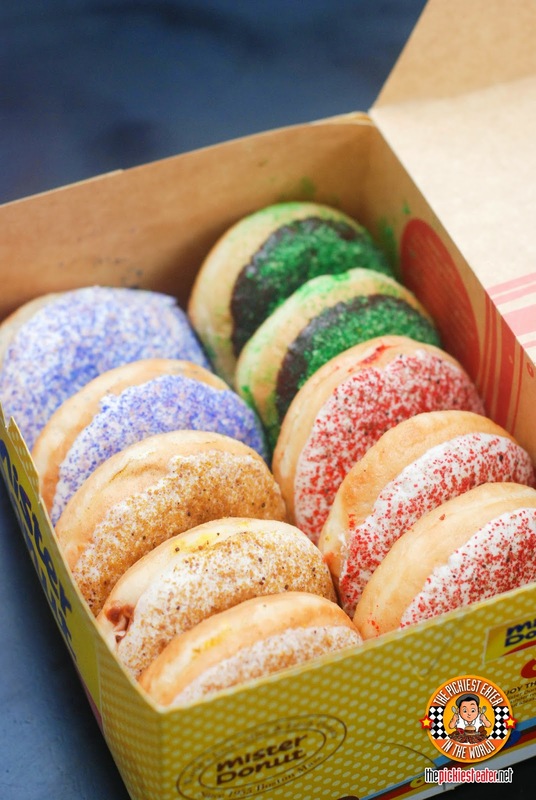 Here's a parade of colorful Wow Bavarian Donuts!!! 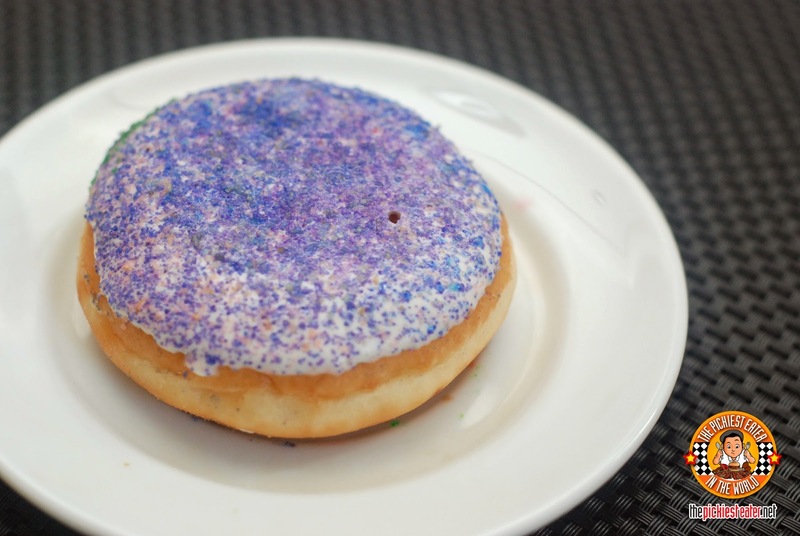 At first I thought the sprinkle color were like indications on what flavor it was. But I don't think it is. They're just really random coloring. Mister Donut indeed is the pasalubong ng bayan! It's indeed a sure fire hit to anyone you bring them home to! Almonde... Si Rina addict talaga... Sa akin.... hehehe just kidding..